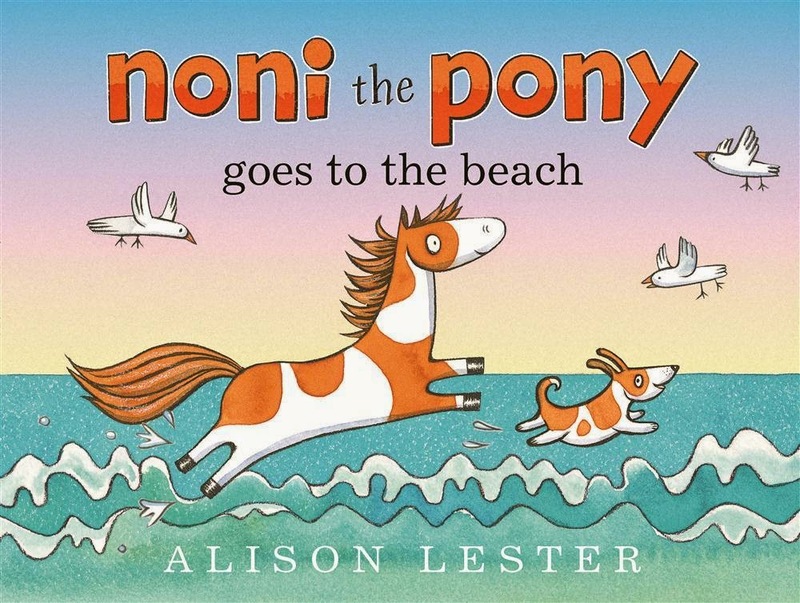 Noni the adorable pony is back in this beautiful romp of a book for wee pony lovers. Noni is such a friendly, funny pony. She loves going to the beach on sunny days, along with pals Coco the cat and Dave the dog. Coco doesn't like getting wet (she much prefers a snooze in a fishing net hammock) but Dave is keen to get close to a whale. He goes a little far out, and let's just say thank goodness for Noni! Kids will relate to this sweet, slice-of-life story of a delightful day at the beach, from peering into rock pools to lolloping in the waves and making sand castles. Lester's typically charming illustrations will thoroughly engage young children, and the 'wind down after a long day' ending making it a perfect bedtime read.